Denese Marshall, MA, is a Licensed Professional Counselor, Advanced Alcohol & Drug Counselor, and a Nationally Board Certified Counselor. She completed her undergraduate work in Psychology and Criminology. She has her Masters in Clinical Mental Health Counseling from CACREP approved Fairfield University. Denese works with adolescents and adults facing addiction, trauma and OCD. She lived in the Middle East for 10 years and has a broad understanding of different cultures and gender disparities. Denese sits on the board for Moms Against Marijuana Addiction (MAMA). She is passionate about acceptance of differences and has authored a bullying prevention book for children ages 4-7 to teach children to accept differences and exercise acts of kindness. Denese believes in an existential approach and believes the power of change lies within us all. Denese fosters an accepting environment that allows a sense of calm allowing clients to begin to gain the tools to access their own resources to facilitate change and healing. She utilizes Functional Analytic Psychotherapy (FAP) with CBT evidenced-based practices to guide clients through their journey of self discovery, growth and change. 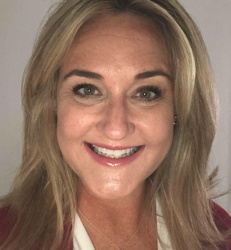 Denese has worked as an Intensive Outpatient Program Facilitator, Outpatient Clinician, Anger Management Group Leader for men and women, CBT-12 for Relapse Prevention, as well as Dual Diagnosis Groups. She has worked with clients with a criminal background to assist in both rehabilitative/reintegration following incarceration, as well as helping clients with addiction to prepare for incarceration. Denese is QPR certified to assess for suicidality. Denese believes that our past or life choices influences our behavior, but they do not define who we are. She helps clients find meaning in their experiences and helps clients learn to develop a sense of peace that comes from making sense of our experiences. Synopsis: According to leading psychologists children are not able to use empathy when choosing their actions, therefore, there needs to be something more direct. The issues presented in Please Don't Tease are very well researched and are the very expected and unexpected issues children are teased about. Please Don't Tease teaches children a simple rule to follow. Children really seem to love having a response for when they feel they are being teased, and so far, it seems to stop the teasing at this young age! Please Don't Tease never shows any illustrations or examples of children being teased, but only demonstrates how to accept differences.